Last year, we got together with my extended family for Thanksgiving. We were so excited! We wanted to bring something festive that would show everyone how grateful we were to be family and to be together, so I came up with a craft for us to share. It is a turkey that is later taken apart into individual necklaces that say we are grateful for each person. We cut little feathers out of felt, by cutting a leaf shape, with a bit of a stem. We cut little slits along the edges to feather them. We also cut a hole in the stem for the yard to go through. Using a word-processing program, I wrote “We are thankful for [Name]” several times on a page, using everyone’s name. I printed that out on cardstock. I cut the cardstock in the same way as the felt, only a smaller feather size. I hole punched the stem for the yarn to go through. 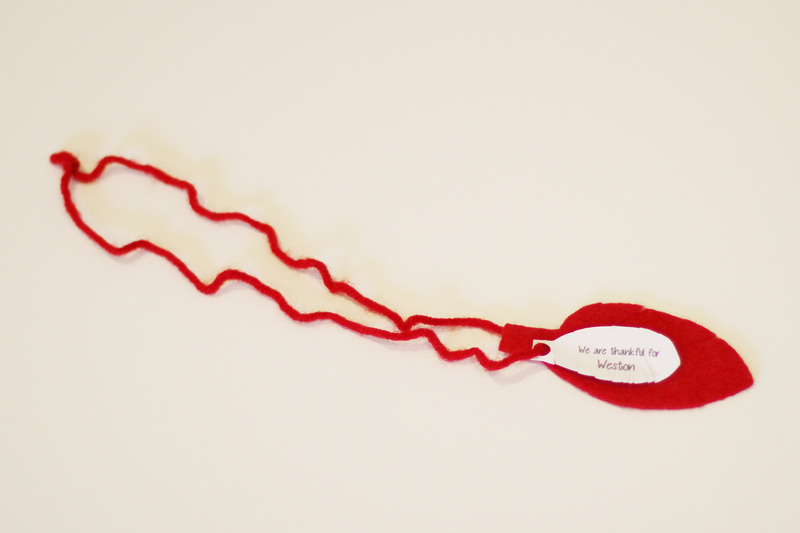 I cut pieces of red yarn, long enough to make necklaces. I strung a felt feather and a paper feather on each yarn necklace and tied a knot. From felt, I cut a turkey body (shaped like an eight, or snowman), eyes, beak, feet, and a wattle. I glued them together. 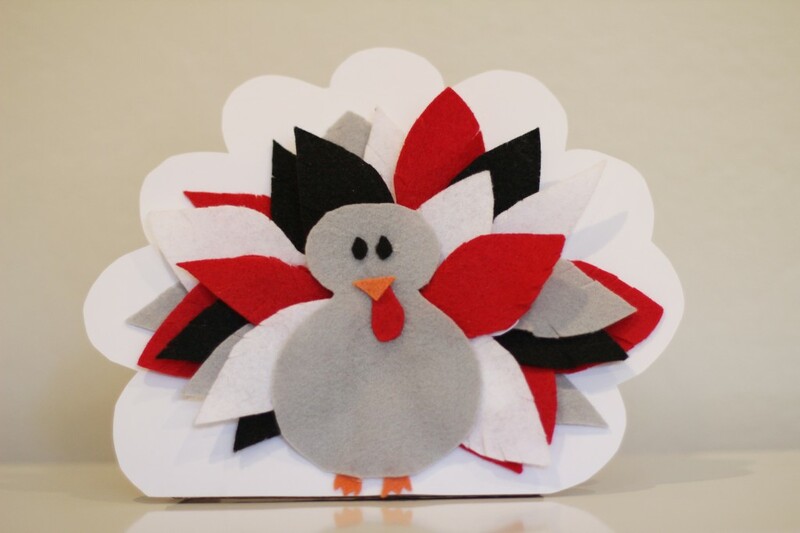 From cardstock, I cut a large fan-shaped background with a scalloped edge to support our turkey’s feathers. 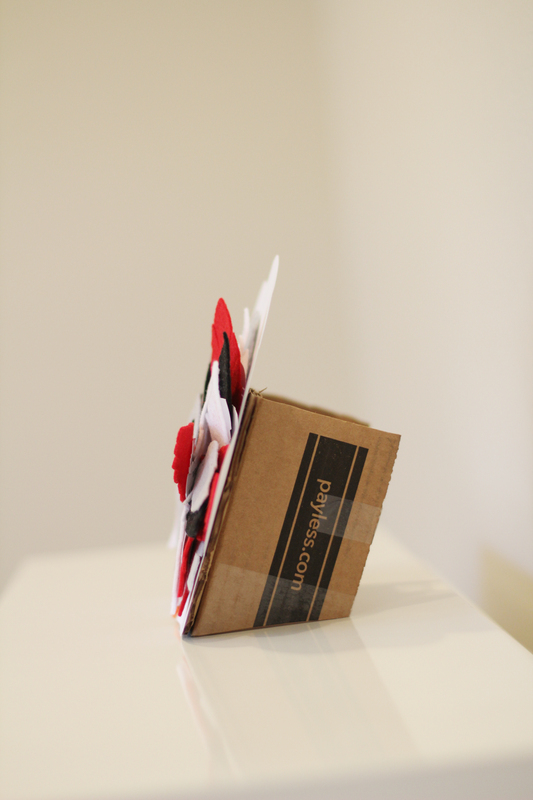 I glued this to a cardboard box, to be used as a stand. I cut a hole (through both the cardstock and box) near the middle, to pull the yarn necklaces through, to be stored out of sight. I pulled the yarn necklaces through the hole in the cardstock/box, and arranged the feathers. I glued the turkey body to the box so the feathers were behind it. I didn’t apply any glue to the feathers, as they would later be necklaces. 10. I cut the box to stand properly, at an angle so the turkey didn’t flop forward. We brought this to our feast and used it as décor for the day. In the evening, the kids took it apart, and took everyone their necklace.